I have been very fortunate to meet some amazing people through my business, and it is always so fun to collaborate with them on a fun event or project. 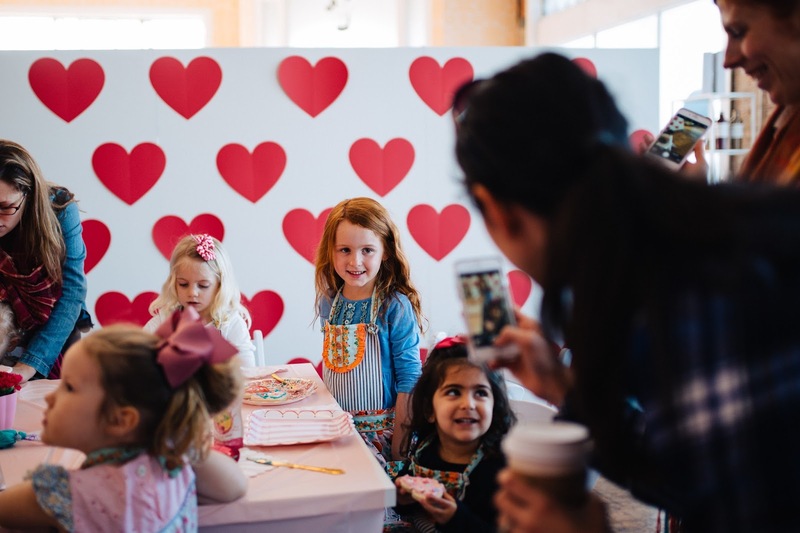 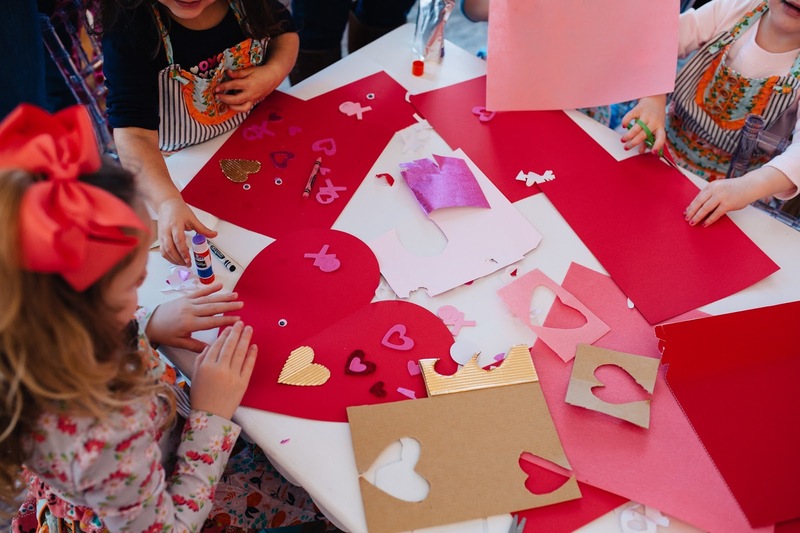 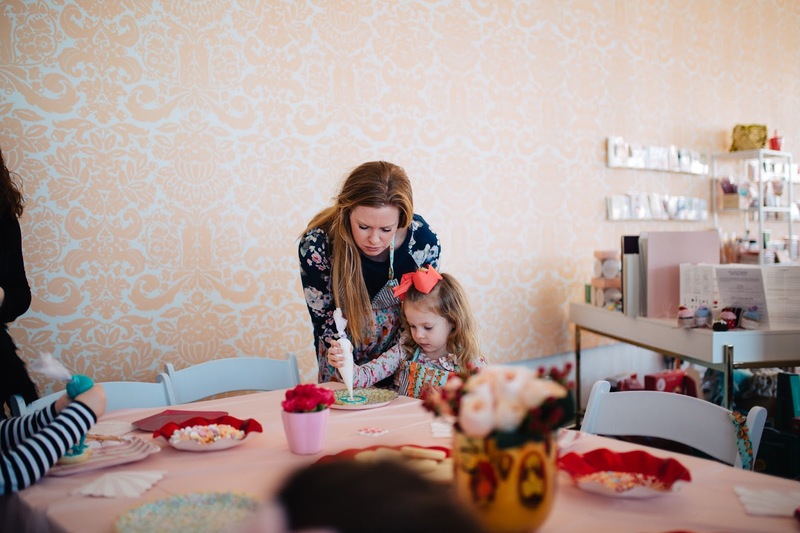 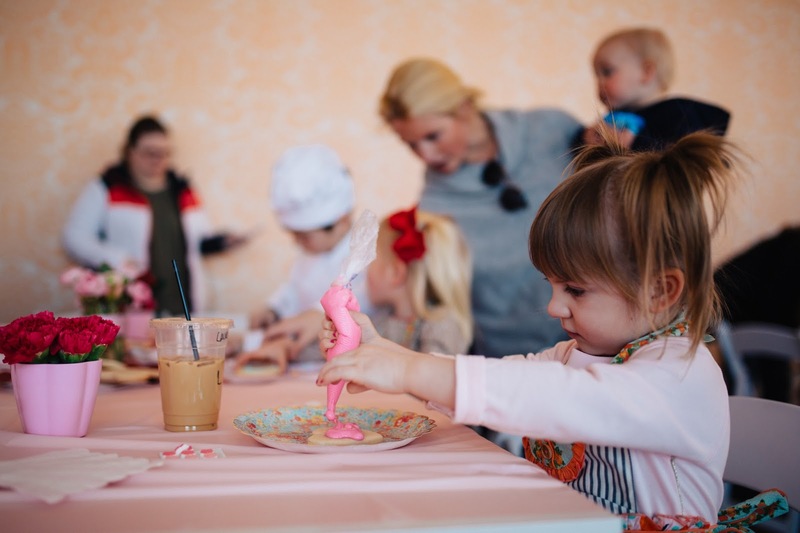 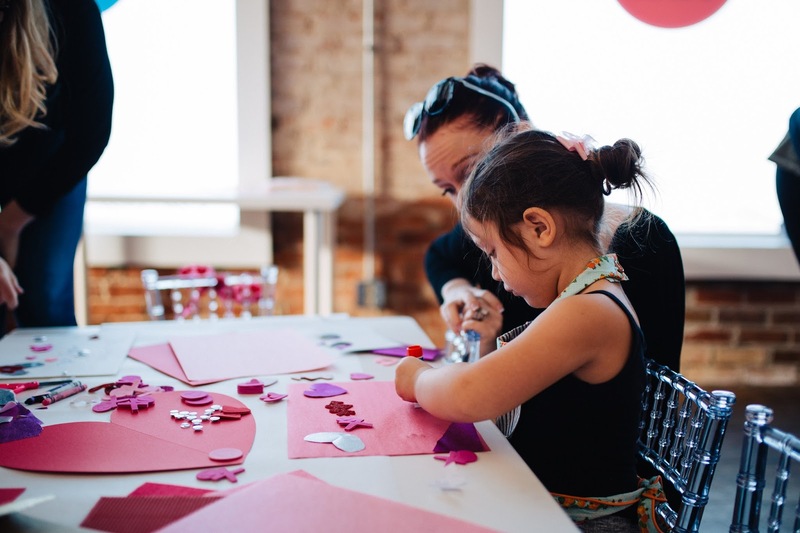 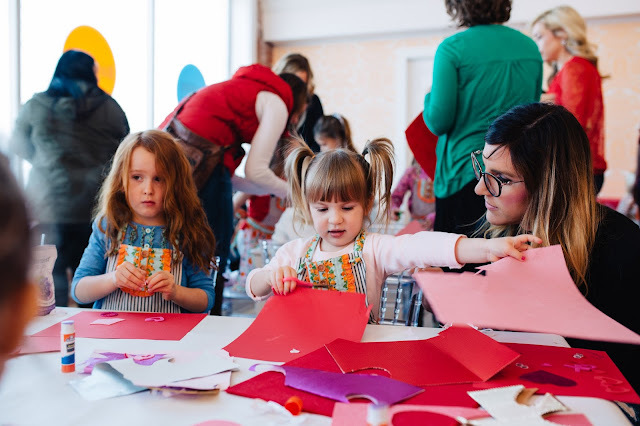 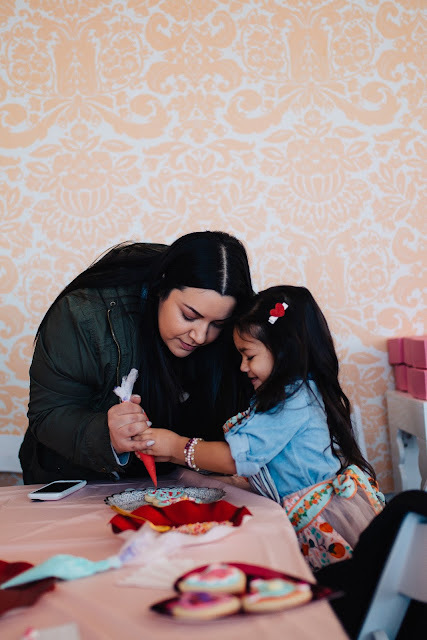 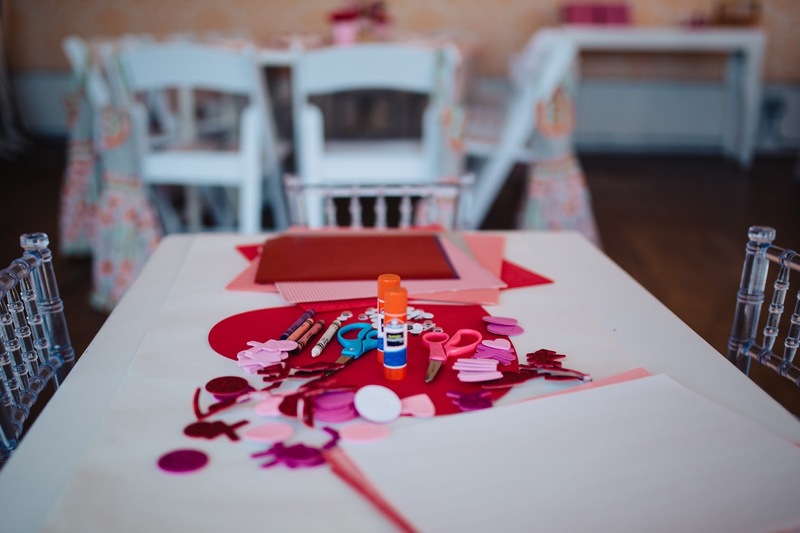 A few months ago, girl boss and local photographer, Sally Cavanaugh, reached out to me about doing a fun event that would incorporate the cute Matilda Jane aprons she was selling. 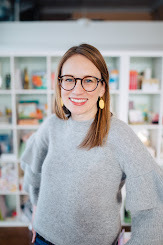 Sally is a trunk keeper for Matilda Jane Clothing and is always looking for fun ways to get local moms informed about the brand. We started brainstorming and then came up with a cookie decorating party! 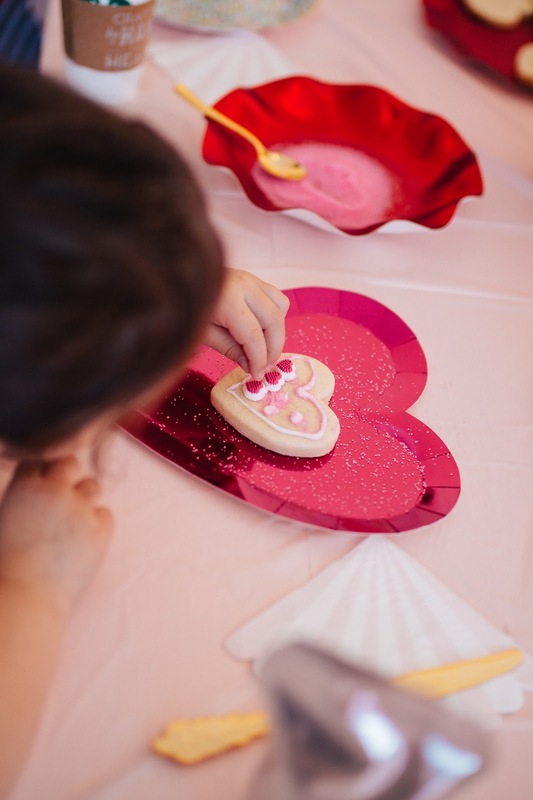 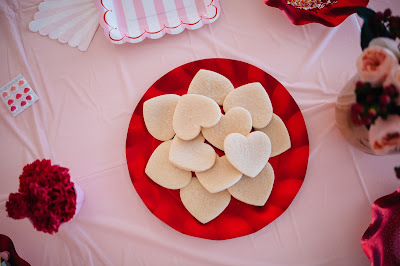 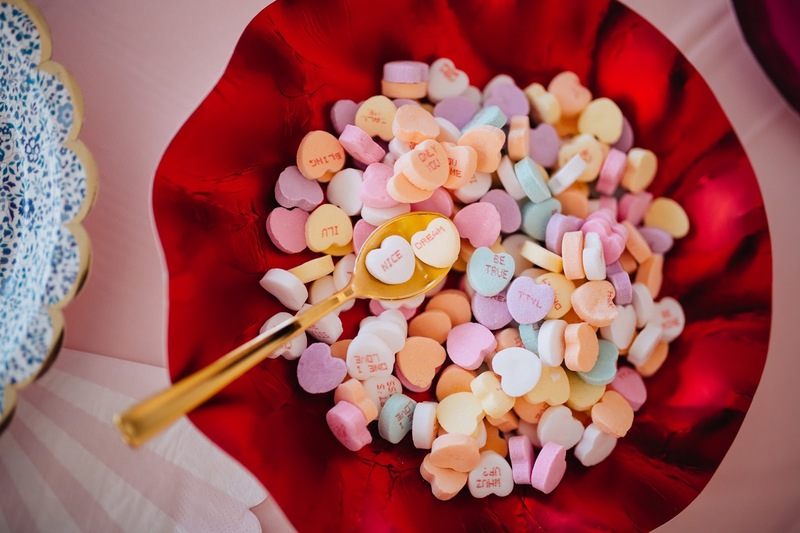 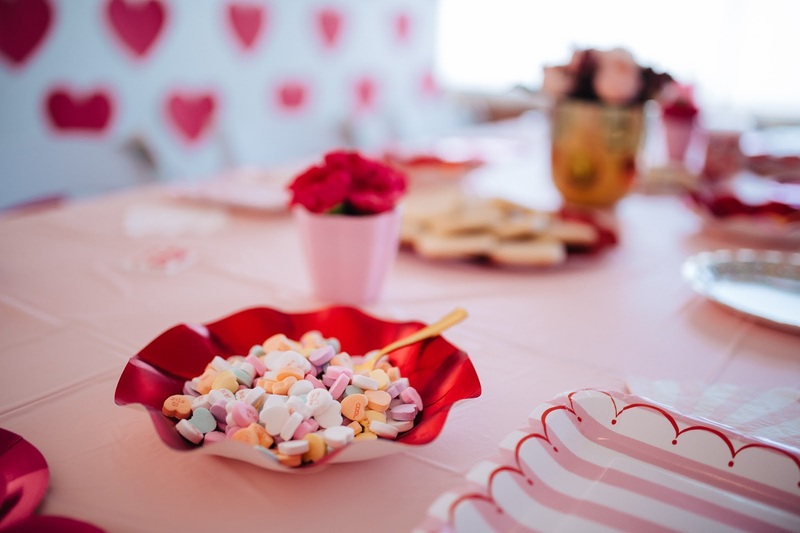 Nothing like valentines, hearts, pinks, reds and cookies to inspire a fun event. 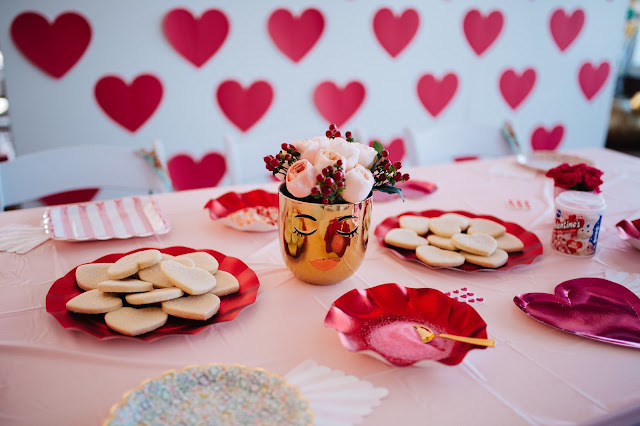 By now, you are probably aware of my love for Valentine's day and the fun decor that comes with it. 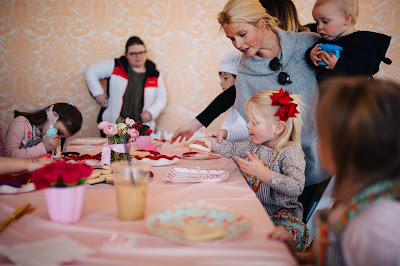 I was so excited to pull some fun partyware for this event and mixed lots of fun patterns to tie in the Matilda Jane feel. 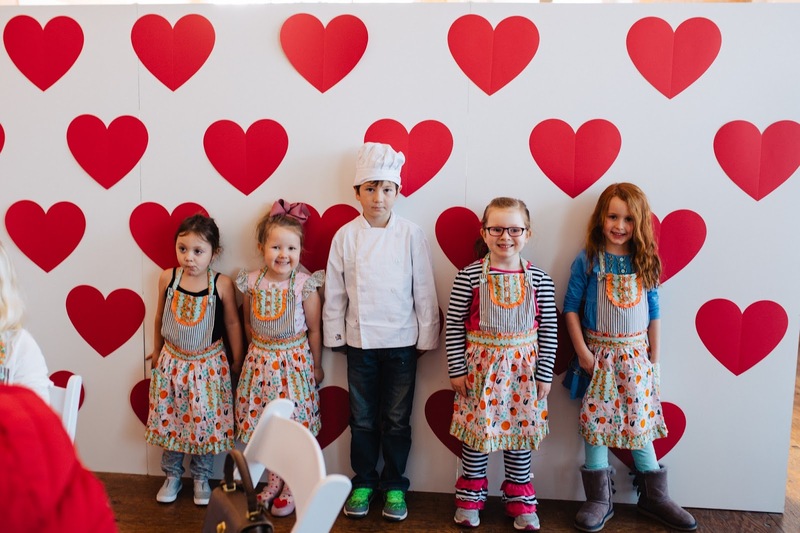 I wanted the children at the event to get into the Valentine spirit! We setup two large tables and laid down light pink plastic tablecloths - easiest for quick cleanup. Each spot had a pretty place setting with their apron or chef outfit laid on the chair behind. 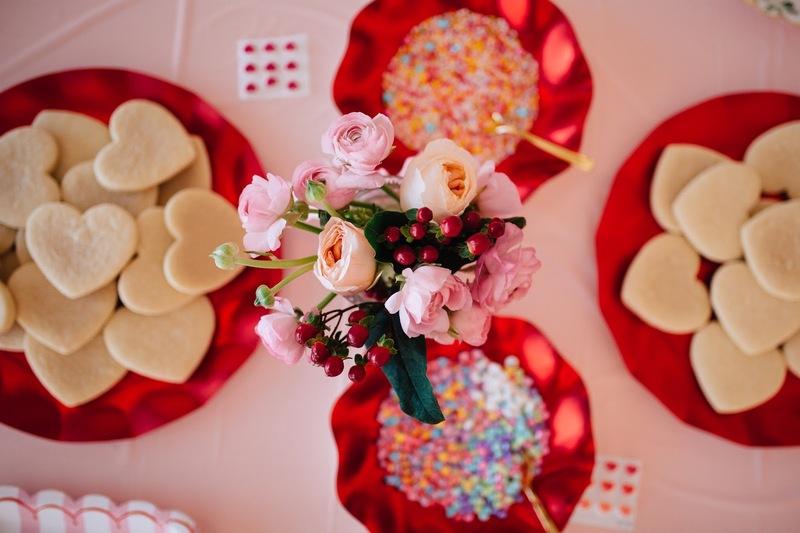 Trays of cookies, sprinkles and icing were then set out across the tables and I put together fun florals to set across and on the side tables. Garden roses, ranunculus, hypericum berries and hot pink carnations made for whimsical arrangements. 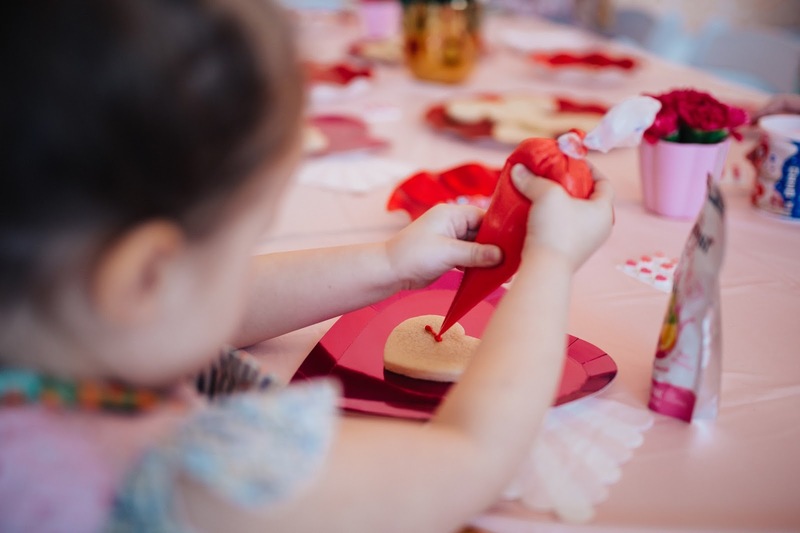 In addition to the cookie decorating, Sally and I setup Valentine making stations on the smaller tables. 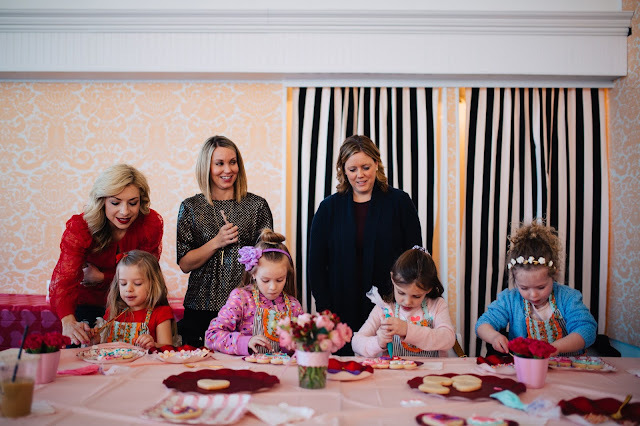 We wanted to make sure the kids had fun activities to keep them busy in case they decorated cookies quickly or they wanted a break to mix things up. I purchased foam stickers for them to use and pulled some of the fancy papers and felt I recently got in at the store. 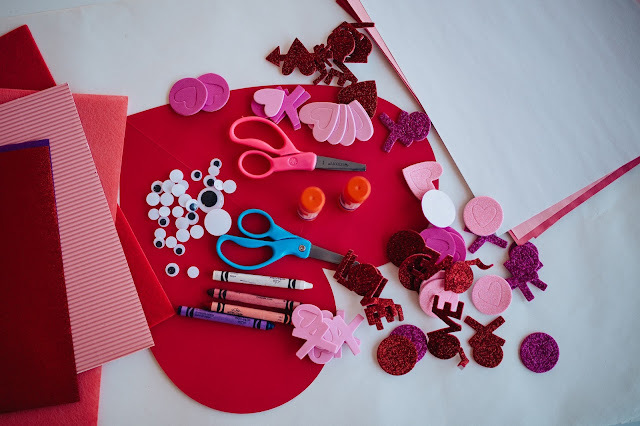 Googly eyes are also always fun to set out for kids to use. Time for the party to begin! When we started planning this as a cookie party, I knew I would reach out to my favorite cookie baker, Wendi from Sweet Sugarlicious. She was able to make heart shaped cookies and bags of icing for the kids to use to decorate. Both were delicious and worked perfectly for the event! 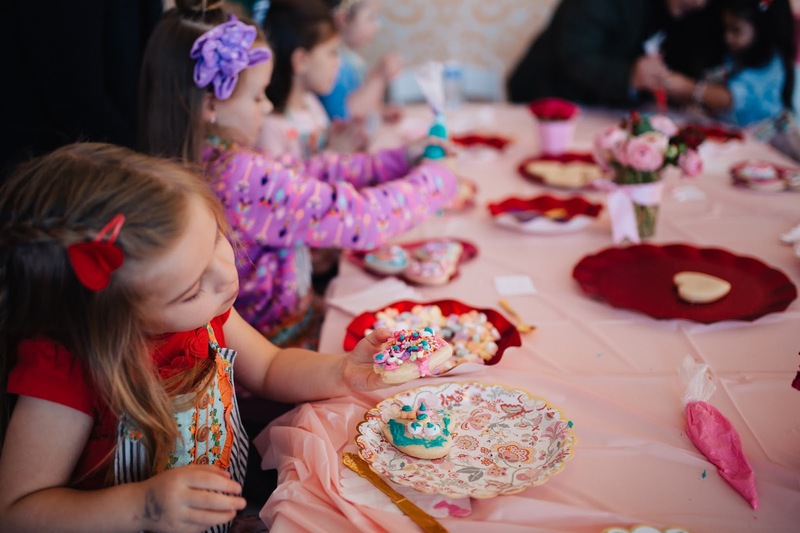 Each child received two cookies to decorate and there were different icing colors for them to choose from. 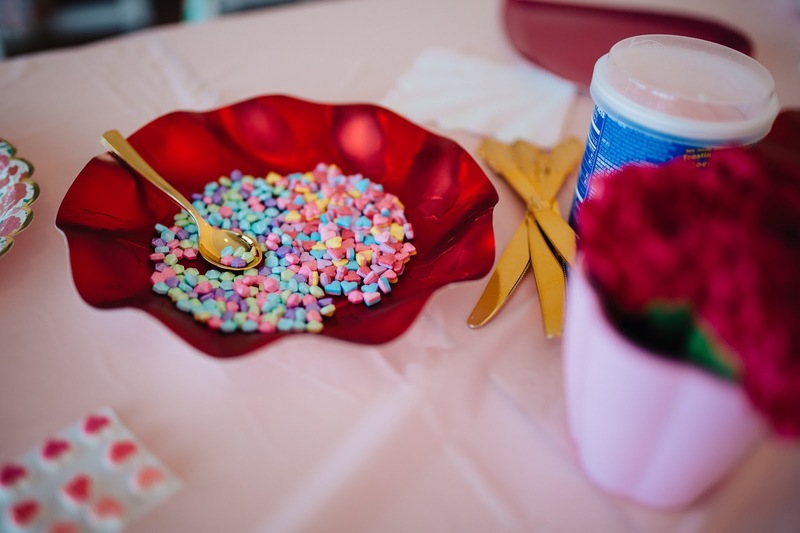 Then they had a selection of sprinkles and candies to decorate with. 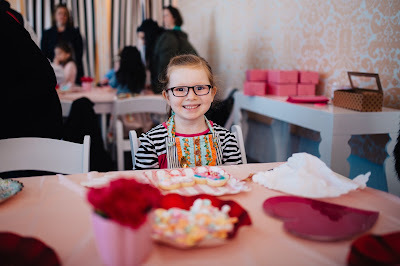 The creativity was awesome and it was so fun to see each of their creations! It was also fun to see if they ate the cookies right away or saved them to enjoy later. We put together little bakery boxes, so they could take home their extras. After they finished their cookies, it was off to make some valentines. The creativity continued and they got to work on putting together fun cards with the shiny paper, stickers and felt. 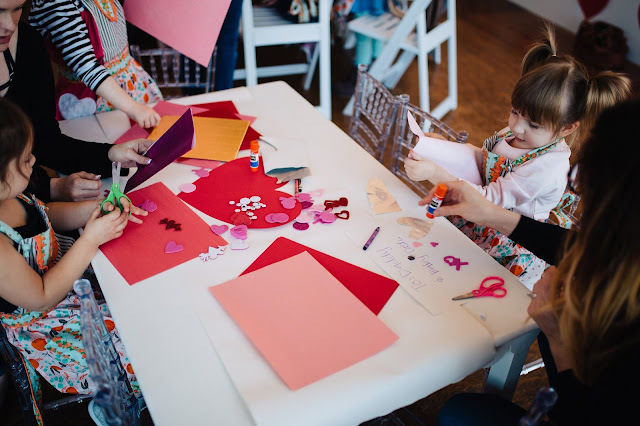 It was fun to see the children working with whoever brought them - mothers, godmothers, aunts - and sharing that time together. 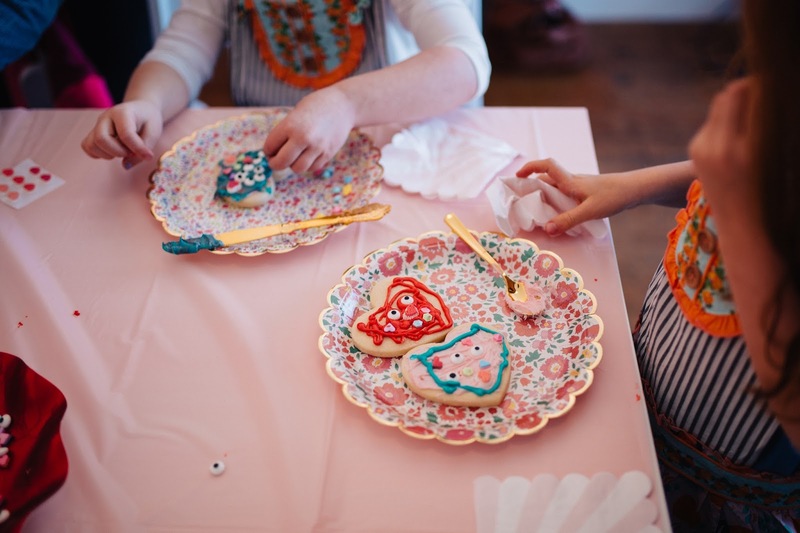 Their creative juices were flowing and they were hard at work to make something fancy! 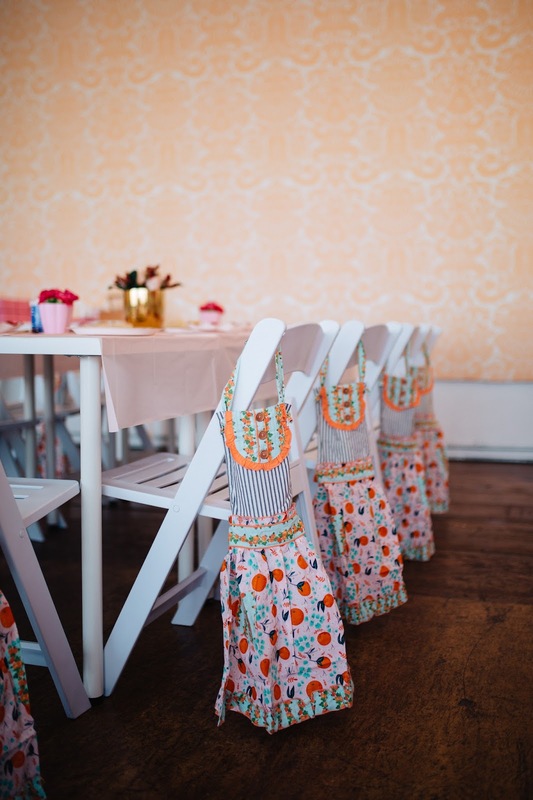 It was such a fun day and I loved putting it all together! 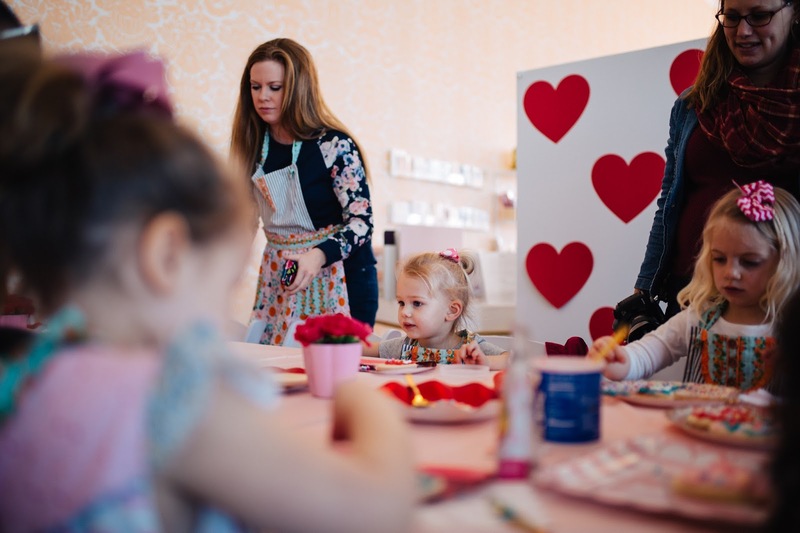 Thank you to everyone that attended the event and I hope you had a wonderful time. 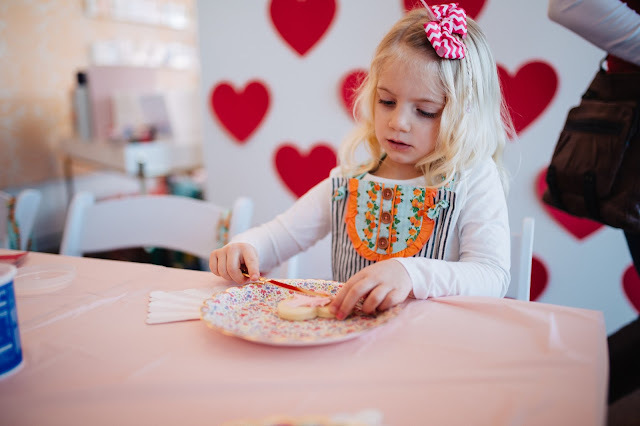 Thank you to Wendi for making the cookie decorating an easy setup, delicious and supplying beautiful icing colors. 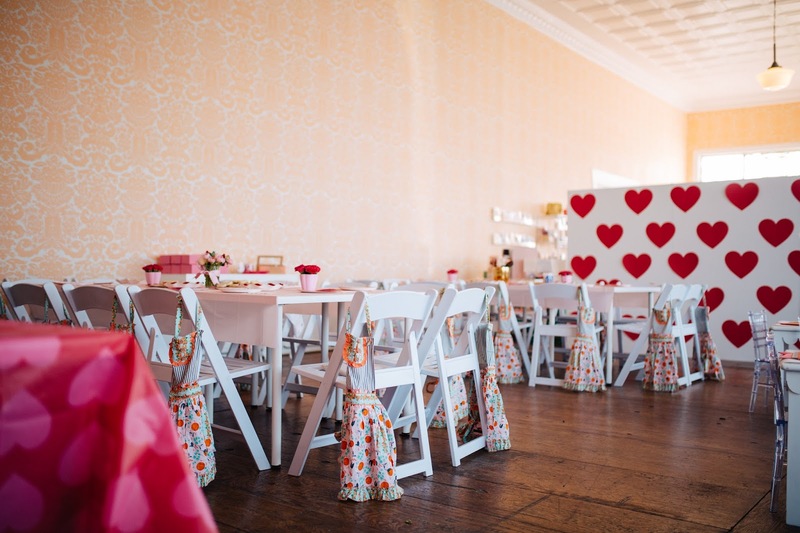 And lastly, thank you to Sally for collaborating with me on this event and taking gorgeous pictures! 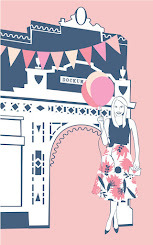 Attendees - I will be sending the pictures your way in an e-mail soon! She took lots of great shots and there were too many to share. 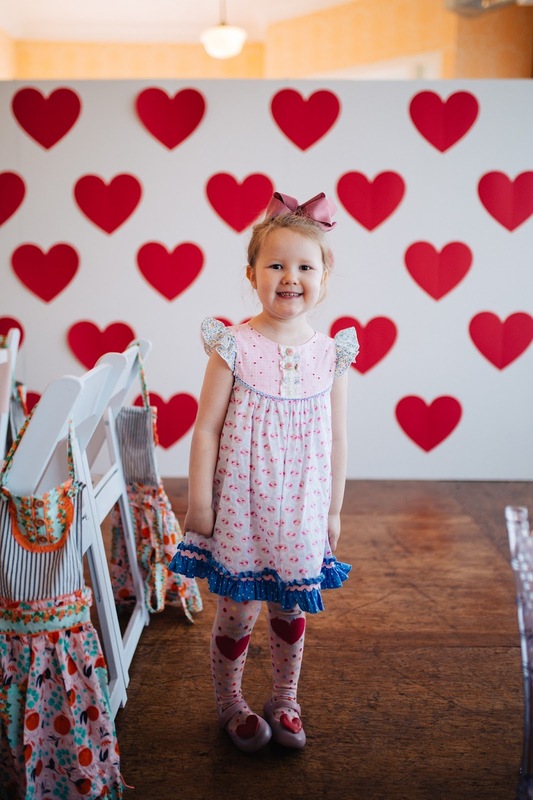 *to purchase the Matilda Jane aprons, please reach out to Sally.